A year ago, I made the best homeschooling decision I have ever made. I switched to Waldorf from a more classical approach. After spending time on some of the Waldorf facebook groups, I felt like I needed to buy so many things to make our new lifestyle a reality. I felt overwhelmed by the "must dos" and "do nots" I was seeing all over the computer screen, I thought that maybe this wasn't going to work. But after digging through the superficial blogs and facebook posts, I found a blog that really resonated with me. One of the very first things I read about homeschooling the Waldorf way that made me feel confident that it was a path I could take was this blog post, written by Kelly from Lavender's Blue Homeschool. It centered around music and movement in the kindergarten years, one of the things I was aching to add back in to our lives after a very stressful classical year. After spending the night reading through every. single. blog post Kelly had written, I knew not only that Waldorf was the way I wanted to go, but that I really wanted to try her Kindergarten curriculum. My main concern though, was my rising first grader and my newly four year old. Would I be able to use the kindergarten curriculum with both of them? After many emails back and forth with Kelly, where she answered all of my million questions with warmth and understanding, I knew that this was the curriculum for me. dreamy online toy catalogue, or the gorgeous blogs and books that you read. by doing it, living it, always observing your child, and adjusting as you go." I immediately felt that this was something I could do, and something that I could tailor to meet the needs of my family, and not make our family meet the needs of a curriculum (although I didn't need to change anything at all to meet our families needs!). Kelly gives an introduction to all the major aspects of a Waldorf kindergarten, taking you through the how-tos of things like beeswax modeling, water colour painting, telling stories, and handwork. Her explanations are simple and easy to follow, and really leave you feeling like you can do it. Most importantly, Kelly focuses on how to create a joyful and magical kindergarten experience, by building the home life and creating a strong base that will carry you through early childhood and beyond. The curriculum focuses first and foremost on creating a rhythm in your home and centers around circles that are full of beautiful folk tales, songs, painting and modeling, finger plays and hand crafts that are seasonal, but secular. What I really loved about the circles is they are something that has grown in to a tradition for our family. My children eagerly anticipate the stories each week and spend the whole week re-enacting them and singing the songs from circle. My concerns about blending kindergarten and first grade were unfounded. My first grader enjoyed the circles and activities just as much as my kindergartener, and the curriculum has taught me how to carry a circle so well that I feel confident I will be able to continue for all the upper grades as well. The weekly painting and modeling activities have all been hits with my children and the hand crafts have gently built my children's ability to the point where they often pull out supplies and make things on their own. The hand crafts have also become a special way for my children to create a home made gift for the ones they love. What I gained more than anything else was an understanding of Waldorf beyond the pretty toys, gnomes and Elsa Beskow books. Kelly's curriculum gave me the base that I needed to build a strong rhythm for my family, a home life that centers around calm and joy, and a mindset that sees the wonders of early childhood and embraces it. The ongoing support I receive from Kelly has been invaluable and it got me through those first weeks of transition and through any time that I have felt like I needed help getting back on track. I have recommended Kelly's Kindergarten Curriculum to many of my friends, and now I have shared with you the joy it has brought to our family! I am especially excited to announce that Kelly has worked hard and long all year long to put that same care and gentle guidance in to a grade one curriculum! To celebrate the launch, I an honoured to host a giveaway, my first here on the blog. All you need to do is leave a comment below about why you think a Lavender's Blue Homeschool curriculum would be a good fit for your family. This giveaway will run from Sunday July 20th to Wednesday July 23rd, 2014. A person will be chosen at random and announced here on the blog on Wednesday evening, 8:00pm ET. Please note: Anonymous posts will be disregarded, so make sure to put your first name and last initial! Waldorf and it's secular... yep, that's the curriculum for us. I've been following LB for awhile now and reading through her sample pages, blog, etc. There's no question that this is a quality curriculum. We just purchased 1st Grade via the amazing sale she has on right now. I just couldn't pass it up! However, we still need the Kindy curriculum for when we actually begin our homeschool career this year. It would be a blessing to win it! I have heard such good things about Lavender's Blue and it sounds like it would be a wonderful fit for my family! We have homeschooled from the beginning (I have two girls one who is eight and one who is six and a half) and have always been Waldorfy (even before we knew what Waldorf was)! This sounds like us on paper! I'd love to have the chance to use this with my girls! I haven't heard of this curricula before, but we love Waldorf and are not a religious family, so it looks like it would be wonderful for us! I would love to have a secular first grade curriculum to use with my daughter next year. This sounds wonderful. I've heard so many great things about this curriculum, and I have two Kindergarteners this year and a preschooler. I think it would be awesome to have!! I think this would be a good curriculum for us. I already love her website and I'm new to homeschooling with my first of three starting kinder this year. We want a secular Waldorf program, but i need one that teaches me how to teach them without making me feel overwhelmed and lacking if I am not Pinterest or blog-worthy. This would be a wonderful gift for my daughter who has just started the waldorf curriculum with her girls and I love to learn using art, music and movement, I believe that everyone benefits from this type of learning environment. I would love to have a copy of this as we approach first grade. I get Kelly's emails and follow her blog, and her words speak to me more than many of the other curriculum options available. First, I would like to say that this is an awfully generous giveaway, but after reading up on the curriculum and its designer, I can understand the kindness of spirit involved in such a giveaway. I run a Waldorf-inspired home daycare, but sometimes feel I could improve my practice with a little more guidance. This curriculum is just what I have been looking for-it would give me the extra organizational nudge I'm after to enrich the practice I already keep. Winning this curriculum and implementing it would be an amazing gift to my own children an my extended daycare family. I'll be crossing my fingers in hopes of winning! I've really enjoyed Kelly's blog, and would to try her curriculum! A secular waldorf curriculum!!!!? I'm in!!!! And I wouldn't mind a little rhythm in our home! I loved Kelly's kindy curriculum - it meets you where you are and I felt I could incorporate as much or as little Waldorf as we were ready for. 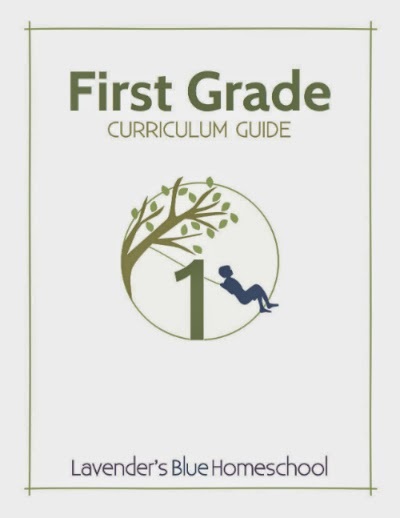 I'm looking forward to the first grade curriculum because of Kelly's approach to including all the step-by-step instructions written in such a way that is clear, complete, and saves you from re-creating the wheel, while also allowing you the space to adjust the curriculum for where your child is at. Thanks for the giveaway! I have been eyeing this curriculum for awhile. All the samples I have looked at are really lovely and we'll put together. Although we follow a Waldorf approach, curriculum and supplies are expensive, so it would be SO LOVELY to win! We would love to use this in our home with my 4 and 6 year olds. I have heard wonderful things about the kindergarden curriculum, especially the circle times! After an endless search for a curriculum that felt right for my family, I finally came across Kelly's website the other night. After reading some interviews with her and the info on her website I immediately felt relief! The information and samples really resonate. I would be so grateful to win her kindergarten curriculum to use this year. Thank you! Wow! This sounds amazing! Thank you for the thoughtful and informative review. Winning would be such a blessings. I would love to have this curriculum! It sounds exactly where I need to be. I've been struggling with rhythm and Kelly's curriculum sounds like it would really help me and my first grader. I have visited Kelly's blog many times for inspiration. She just seems so "real". She seems to really understand the struggles and challenges that us Waldorf-inspired homeschooling mamas face. Her curriculum would definitely be a perfect fit for our family. Thank you for such a wonderful opportunity! Hi Marina, I have no doubts that if you recommend this curriculum it is worthy and Sami loves stories, music and movement. I'd buy it, but still no job, so it is awesome you're having this giveaway, my fingers are crossed.Thank you and Kelly for doing this. Forgive me if my comment shows twice (technical difficulties with blogger). Thank you so much for this wonderful opportunity! 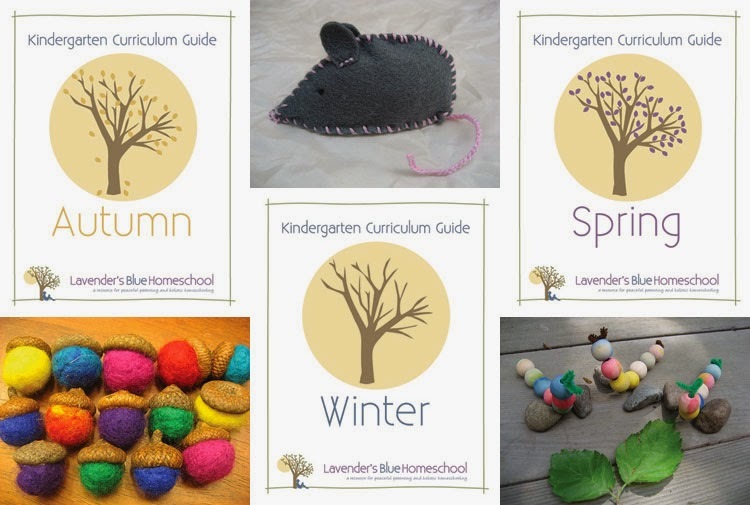 I have two little ones that will be turning 4 this school year and like you I have read every blog post on Lavender Blues website and love the circle time samples she provides, we did the cat and mouse one with our local home school group and it was a huge hit! I have been drooling on this curriculum for months. I would love to be able to bring more of it to my children. I love Kelly's blog and have been eyeing her curriculum for a while! We wood love to win one!!!! I would love to win a kindergarten curriculum for my family to enjoy. The waldorf philosophy fits so well with our family life, a curriculum following the seasons would be amazing as we could really do with ideas and 'how-to' guideas are really something I'd appreciate as with three little people under 5 it would be great to have it all laid out! So excited for her first grade curriculum! This would be the perfect support for my first year of homeschooling.